Fire Magic propane regulator and 24" hose with 1/2" connection fitting. FOR PORTABLE (CART GRILLS) PROPANE (LP) AND *BUILT IN UNITS ONLY. 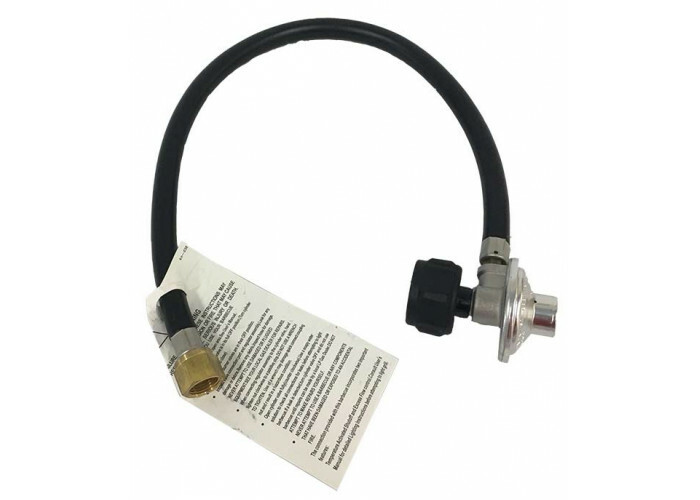 *NOT FOR USE WITH BUILT IN STYLE GRILLS WITHOUT A STAINLESS CONNECTOR. 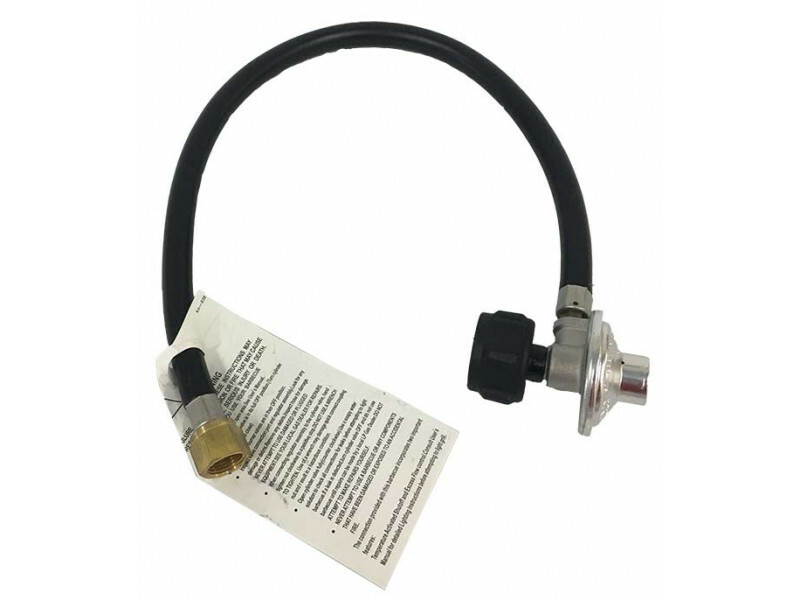 A STAINLESS STEEL FLEX CONNECTOR MUST BE USED FROM GRILL TO THIS STYLE LP REGULATOR. DO NOT CONNECT DIRECTLY TO GRILL.